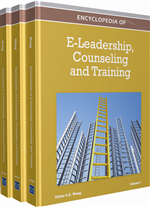 The purpose of this chapter is to explore the role of technology in organizational learning. Recognizing that the presence of technology may not always bring about desirable change, this chapter focuses on identifying promising aspects of technologies and their potential to enhance the organization’s learning capacity. Three interrelated constructs—technology, organizational learning, and knowledge management—are examined. This review pointed to several challenges related to technology integration in the organizational learning processes. A variety of technology-based learning platforms are suggested. Virtual learning, virtual dialoguing, virtual communities of practice, and technology-enabled knowledge management systems are recommended as appropriate technology applications for facilitating learning within organizations. Gaining an understanding about how technology can be leveraged to promote learning is key to improving organizational practices. This section provides the theoretical context of this research. It begins with an overview of technology and its broad impact, and then moves to a discussion about organizational learning and the related construct—knowledge management. Information Technology: A broad spectrum of communication media and devices which link information systems and people. Knowledge Creation: Organizational ability to create and disseminate knowledge and transfer it into products and services. Knowledge: Validated information and understanding acquired through personal experience and individual learning. Knowledge Management: A process of managing information, quality, and human capital. It emphasizes more on knowledge use than knowledge availability. Learning Organization: An organization where learning for all employees is embedded in the organizational culture, values, policies, structures, systems, and practices. Information: Documents, data, and structured messages. Learning: A continuous, experience-based process characterized by dynamic interaction between the individual and the environment. Organizational learning: A process in which organizations as a whole acquire, disseminate, and utilize knowledge that has the potential to induce cognitive and behavior changes and improve organizational effectiveness. Technology: Human constructed tools that aim at facilitating work processes and improving efficiency.